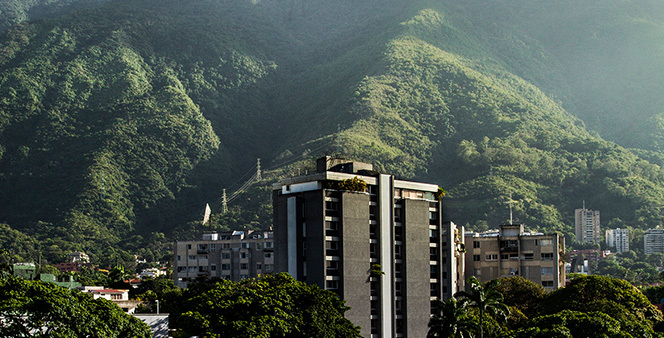 Located on the upper floors of the hotel and safeguarding the privacy of its guests thanks to a unique architectural design, these Caracas, Venezuela hotel suites offer a true close encounter with El Ávila, the stunning mountain that embraces the city of Caracas. The private balconies of the Ávila Suites look onto to the inner courtyard of the Cayena Caracas allowing guests to enjoy one of the best climates in the world. Its interior design combines a fine selection of furniture and accessories in the finest neo-classical style, framed by neutral-colored and white and gray striped walls. A stately bed and exquisite Italian bed linens are evidence of the comfort standards at Cayena-Caracas. Each room of the suite has been given meticulous thought, from the selection of the leather chair in front of the large executive desk, to the location of each light fixture. Telecommunications technology and entertainment systems have been conveniently placed in the suites to meet the most demanding of needs. The scent of tropical flowers or the feel of a 100% cotton terry bathrobe, are only a few examples of the pleasures awaiting you at Cayena Caracas. You will find more information about the Ávila Suites in the list of standard guest room amenities at the Cayena Caracas.